Earlier this season, David Price was noticeably upset after being pulled from the game with two outs in the ninth inning. Turns out, Price probably shouldn’t have been pitching in the 9th inning at all. If you go back and look at the pitchers WPA post, there is one number that sticks out that we didn’t mention previously. 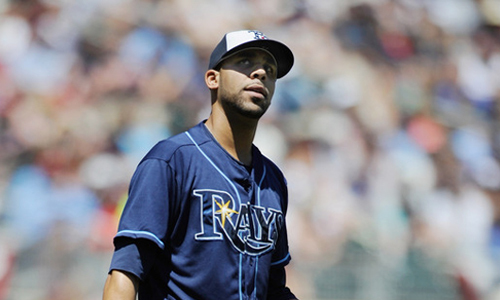 David Price has a WPA of 0.02, which suggests Price has been just a bad as he has been good. On the surface, that seems strange. Even if Price hasn’t been as dominant as 2010, he has still been a good pitcher. So why the 0.02 WPA? Well, one thing working against starting pitchers in WPA is that outs get more valuable later in the game (if it is a close game). And as starting pitchers get tired, they tend to be less effective when the outs are more important. If a starting pitcher has good numbers, but a poor WPA, it could mean that the manager is leaving that pitcher in the game too long. And that appears to be exactly what is happening with Price. Price’s ERA this season is 3.70. If we break down by time of game, we see that in the first three innings of the game, his ERA is 3.47, and the middle three innings, his ERA is 3.44. But when Price is still in the game for innings 7-9, his ERA balloons to 5.03. It is even worse if look at individual innings. Nine times Price has pitched in the 8th inning. His ERA in that frame is 8.59. And the two times he was still in the game in the 9th inning, his ERA is 27.00. Compare that to James Shields, who has a 2.64 ERA during the 9th inning. So, does Price have an endurance problem? No. So far this season Price’s fastball has averaged 94.8 mph. The 49 fastballs that he has thrown in the 8th or 9th innings have averaged 94.8 mph. That is consistency. Price’s problem is not stuff, it is variety. More specifically, Price has a one-pitch problem. We all know Price has a great fastball. But no matter how great it is, if big league hitters know it is coming, they will eventually catch up. And that appears to be what is happening. Take a look at the OPS of hitters based on how many times the batter has faced Price or Shields in a game. Price and Shields are essentially the same pitcher the first two times through the order. But by the time a batter comes up a third time, you can start to see where Price is becoming less effective. And if there is a fourth time through the order, Price is in big trouble, and yet, Shields appears to be getting stronger. Price is a great pitcher. But until he develops another pitch to keep the hitters guessing, he will never be a dominant pitcher. And in the meantime, Price is a 6-inning pitcher and should never see the back end of a game. "Price is a 6-inning pitcher and should never see the back end of a game." 1. Price has a 1.54 ERA in the seventh inning, so I'm not so sure this isnt all solely the result of a handful of 6th-9th inning at bats. 2. Price has less than 20 total innings pitched from the 7th to the 9th. Thats way too small of a sample to read too much into. If anything it tells me he hasnt pitched effectively enough to make it to the late innings, not that he should be avoided in such situations. these are solid points. And i would definitely be more hesitant if there wasn't a very obvious culprit (no secondary pitch). The problem is now and immediate. Do we keep sending Price out there in the late innings (ok, maybe the 7th inning is OK), or do we hesitate if Price has already faced the other team's best hitters 2 times? It is indeed a small sample. But, that small sample is telling a story with a reasonable explanation. The question is, how many more times are you willing to risk it, before the pattern is statistically significant? Cork, I'm not sure if you'll see this question since it's so far down already (I just got back from vacation), but here goes: What's Price's breakdown before the game where he got pulled in the 9th with two outs and after? Not just wins and losses, but all the other stats. I was thinking about this the other day, and I wonder if that moment has gotten in his head.